During the eighteenth, nineteenth, and twentieth centuries, American farmers relied upon American and English almanacs, agricultural journals, and handbooks to guide their agribusiness. This literature, especially the journals and handbooks, covered topics from animal husbandry to plant physiology to crop harvesting and land reclamation. No matter what the subject, the literature advised them on the outcome of farming experiments conducted by peers throughout the United States. One topic of special concern in such nineteenth-century periodicals as the New England Farmer, the American Farmer, and the Country Gentleman was land reclamation. Many farmers from New England and the mid-Atlantic states relayed their experiences through this medium. In 1826, Robert Gibbons Johnson, a resident of Salem, New Jersey, and a landowner, submitted his ideas on draining and diking the marshes to the American Farmer. 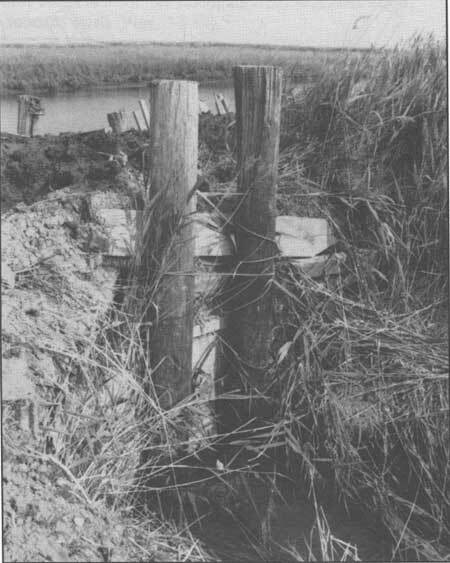 Johnson was not the first to record the procedures involved in reclaiming marshland. As early as 1650, English Captain Walter Bligh, an advocate of drainage trenches, wrote a book on draining the fens in England. A century later, Joseph Elkington of Warwickshire experimented with the tapping of underground springs. 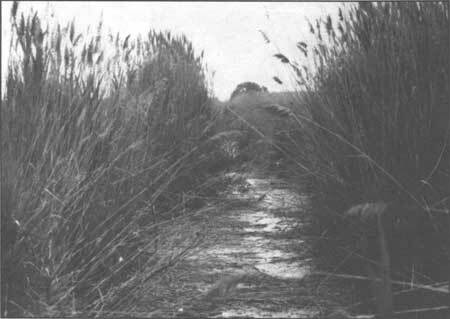 In the nineteenth century many more texts were published that discussed how and why marshes were drained. These included W. Marshall's On the Landed Property of England: An Elementary and Practical Treatise (London, 1804); William Smith's Observation on the Utility, Form and Management of Water Meadows and the Draining and Irrigating of Peat Bogs (Norwich, 1806); George Stephens' The Practical Land Drainer (London, 1834); B. Munn's Practical Land Drainer: A Treatise on Draining Land (New York, 1856); Henry F. French's Farm Drainage (New York, 1860); and George Waring's Draining for Profit and Health (New York, 1867). These books stressed that draining the marshes was an economic endeavor that would increase profits and make useless land operational. The main principle behind land reclamation, as described by Marshall, appeared rudimentary. The actual work and details for success, however, were not so basic. Building the bank along a river or seacoast was the most expensive and difficult task. 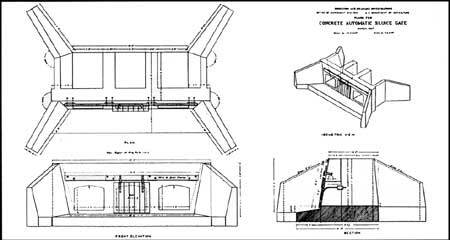 The size, materials, and form of construction differed with each individual case, though three guidelines were common wherever the operation was implemented. Figure 12. 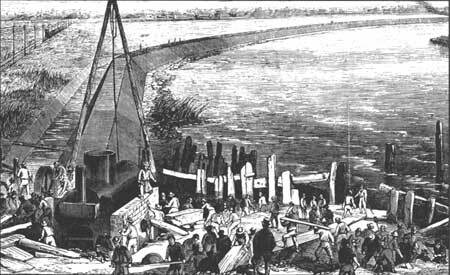 Banks were constructed by the New York Iron Dike and Land Reclamation Company on the Newark Meadows between the Hackensack and Passaic Rivers. Pictorial Guide. Figure 13. Enough men were hired to ensure the bank was stable before the following high tide. Pictorial Guide. Figure 14. 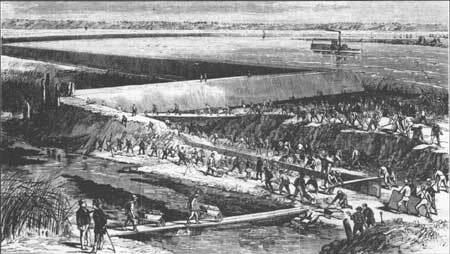 Workers of the New York Iron Dike and Land Reclamation Company drove iron plates into the bank to protect them from muskrats. Pictorial Guide. Figure 15. 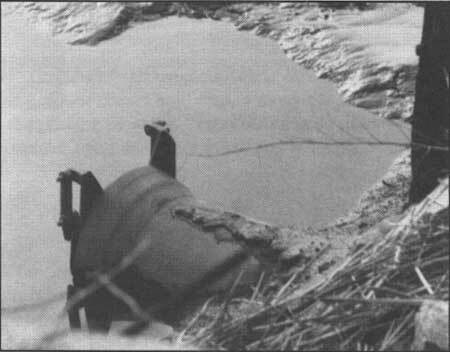 Ditches were also dug to allow water to drain off of the reclaimed land. Pictorial Guide. Figure 16. Drainage ditches such as this one take the water off of Edward and Lehma Gibson's salt-hay meadows. Sebold. Figure 17. Details of a concrete automatic sluice gate taken from a 1907 USDA Bulletin. Reclamation of Tide Lands. Figure 18. Modern example of a clapper valve sluice gate. Sebold. Figure 19. Example of the supports that surround a modern clapper valve sluice gate. Sebold. Johnson and other agriculturalists knew that building and maintaining a diking or banking system took time, patience, money, and intelligence. Farmers and others who ventured into reclamation had to be familiar with engineering methods as well as cycles of nature to have a successful project. They needed to know how deep to dig the ditches and how high to build the banks, according to area needs, along with an understanding for low tides and other natural phenomena. To many farmers along the coast, this knowledge appears to have been second nature. Although somewhat altered due to new technology, the few farmers who still drain the marshes along New Jersey's Delaware Bay know the environment and how to manipulate it.